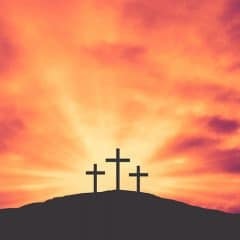 The icons themselves should print on a standard home printer and be very near 1 1/2 inches square. The labels for each narrative element should be 4 inches by 1/2 inch. 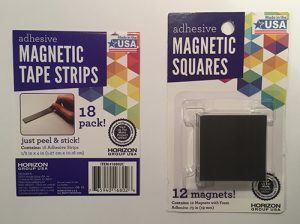 Adhesive magnetic squares and strips of this size can be purchased very inexpensively at a craft store or in the craft section of a local retailer. These make a great craft idea for kids old enough to cut with scissors. 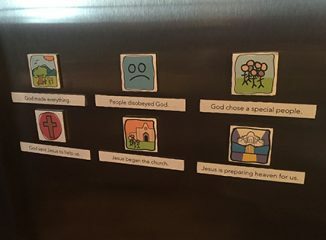 Once completed, the icons can be scrambled on the refrigerator and placed in their correct order by the kids. Labels are included to reinforce the significance of each icon.